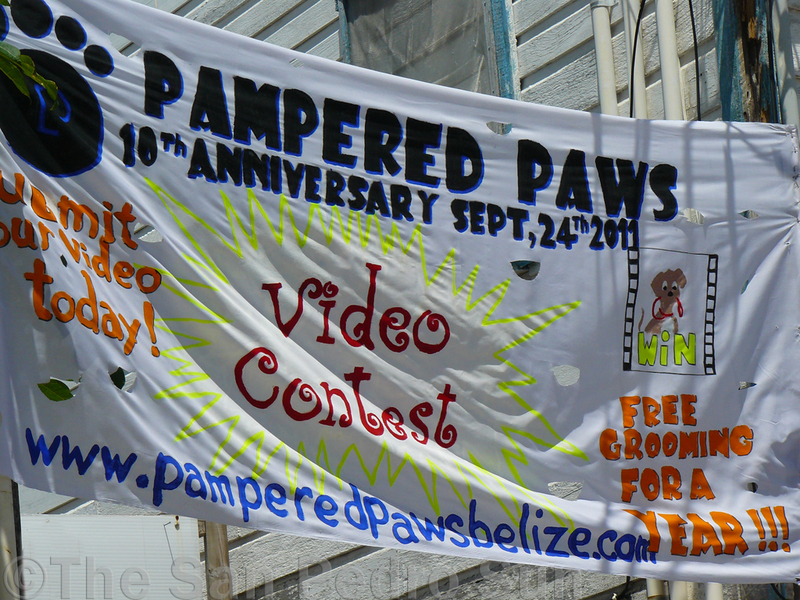 Home » Community and Society » Happy 10th Anniversary Pampered Paws! 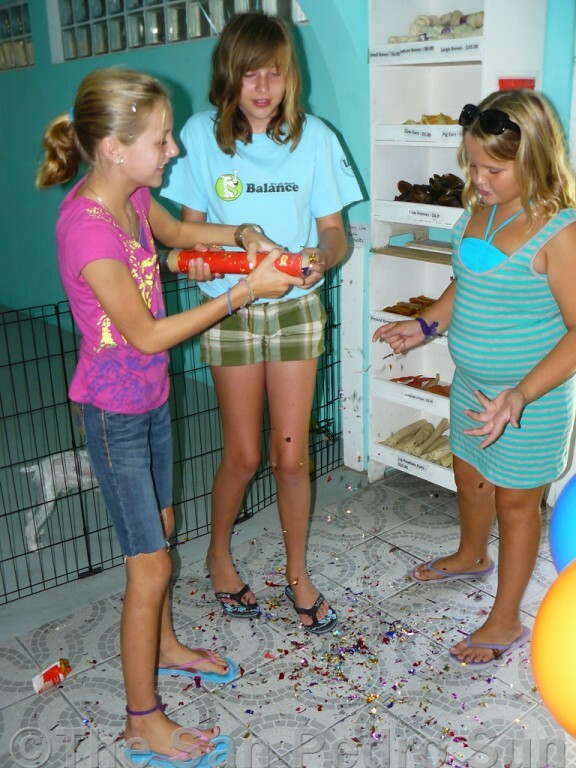 Happy 10th Anniversary Pampered Paws! 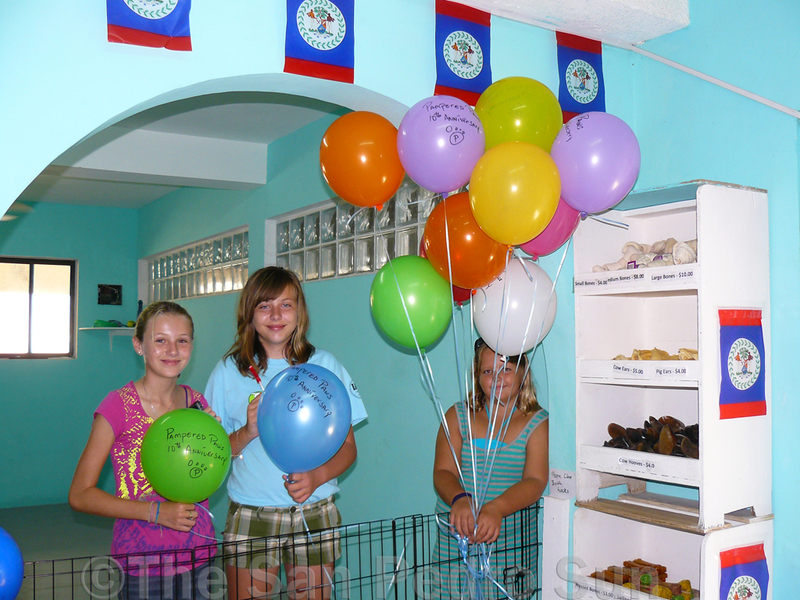 Pampered Paws, San Pedro, celebrated its tenth anniversary this past Saturday, September 24th. 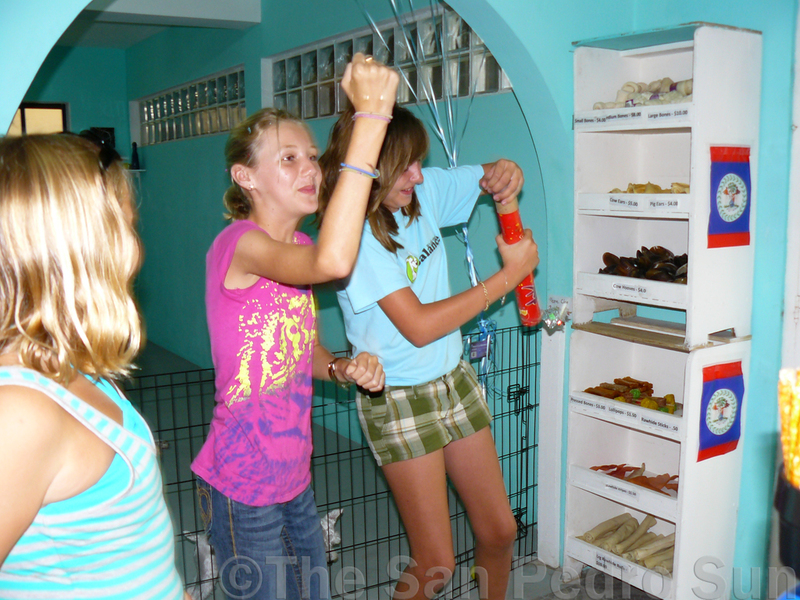 To commemorate the occasion, there was quite a bit of excitement, décor and yummy treats for the pet owners who stopped by for some pet pampering. 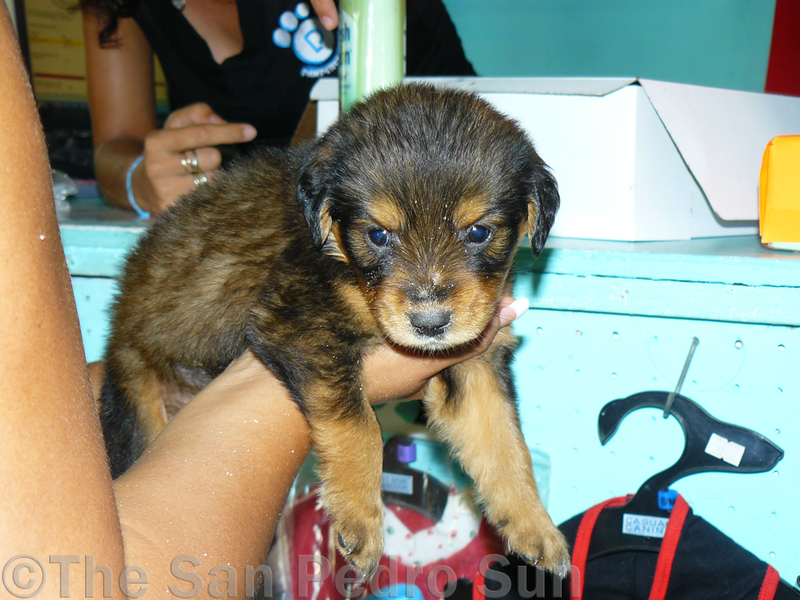 Adorable volunteers Alice, Morgaine and Lily played with the doggies that were boarding at Pampered Paws, while Allan Soto, David Bellini and Derio Pop were busy grooming, bathing, walking and cuddling their clients. 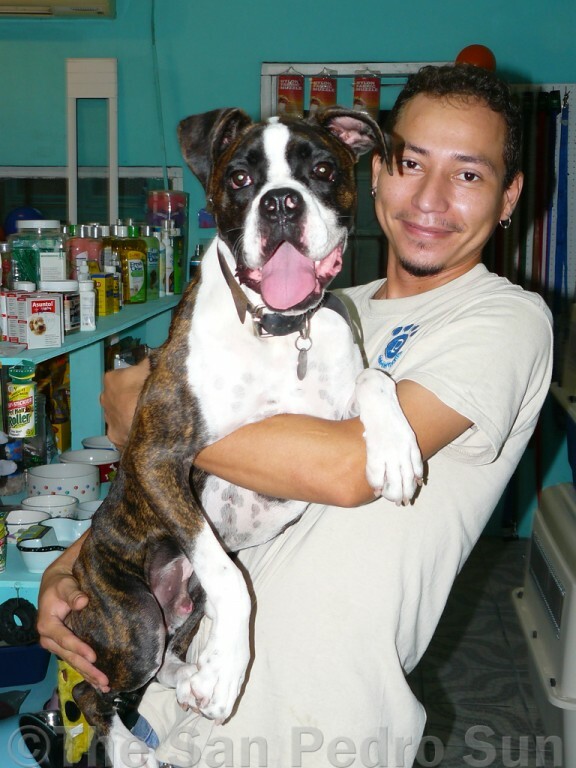 For this special anniversary, owner Katia Marin decided to hold a special video competition whereby clients, friends and animal lovers could share glimpses into beloved pets’ lives. 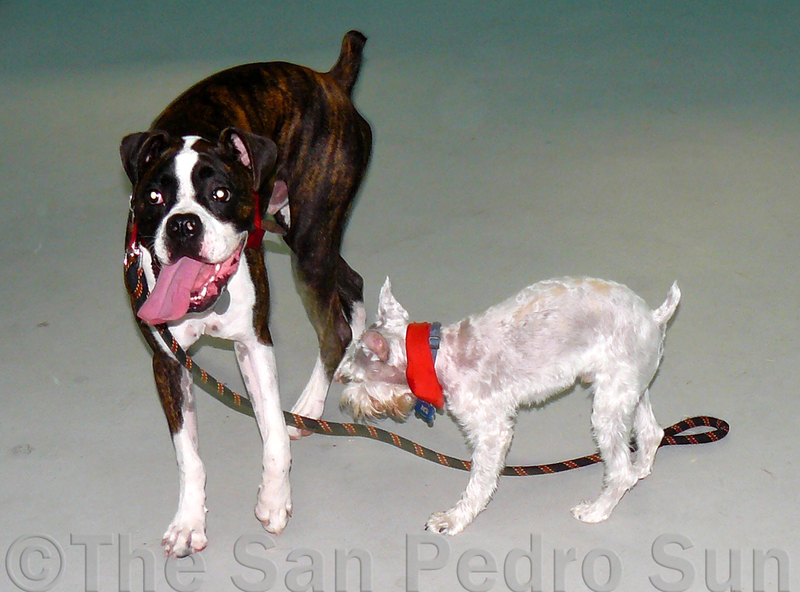 There were several cute entries, including two surfer dogs, a cat chasing a mouse, dogs walking on their hind legs, doggies swimming, swinging, chasing water from a hose (and then its human playmate), and for added pizzazz, a mini-movie, “Dogs Gone Wild”. There were three prizes on offer, and winning first place, and free grooming for a year was Fluffy, the water-hose chaser. 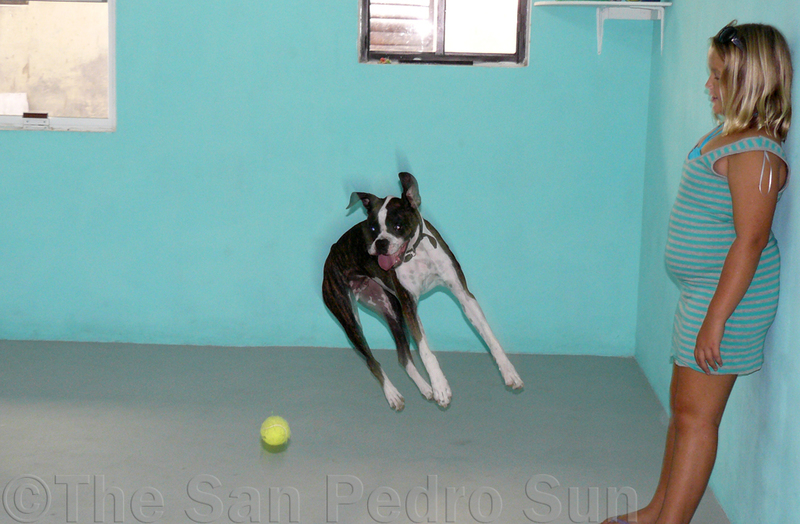 Second place was actually a tie between Ayonnie Palma (Surfer Dogs) and Eileen Jamison (Chloe the swimmer and walker). Both sets of pets won two months power walks. The Gomez family took third place with their fun mini-movie. 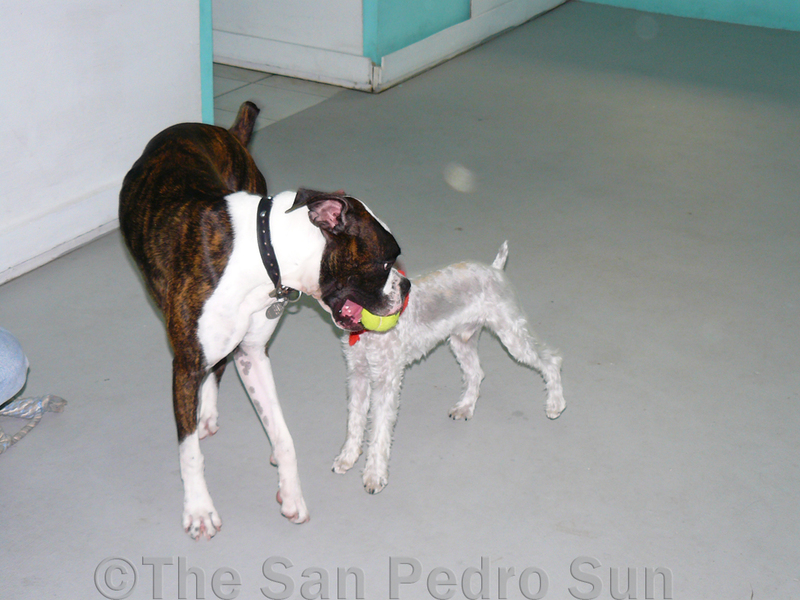 Their pet will receive private training. 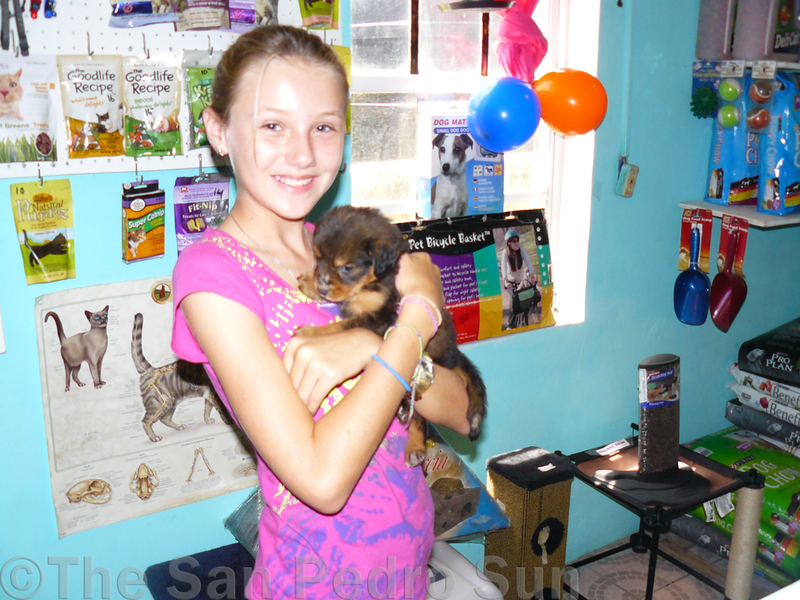 There were other surprises throughout the day for paying customers, and the tenth customer of the day won a flea bath for his pet. 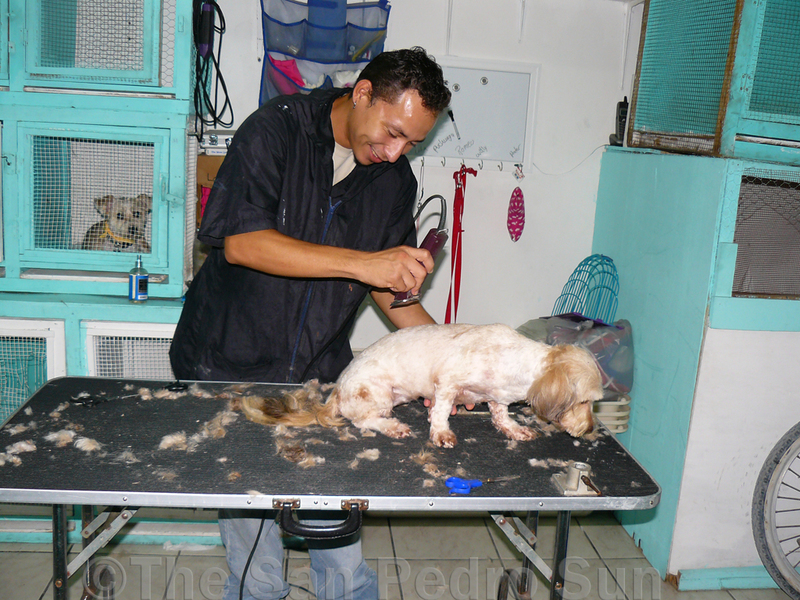 The fifteenth customer, Ric Haley also took home a full groom. 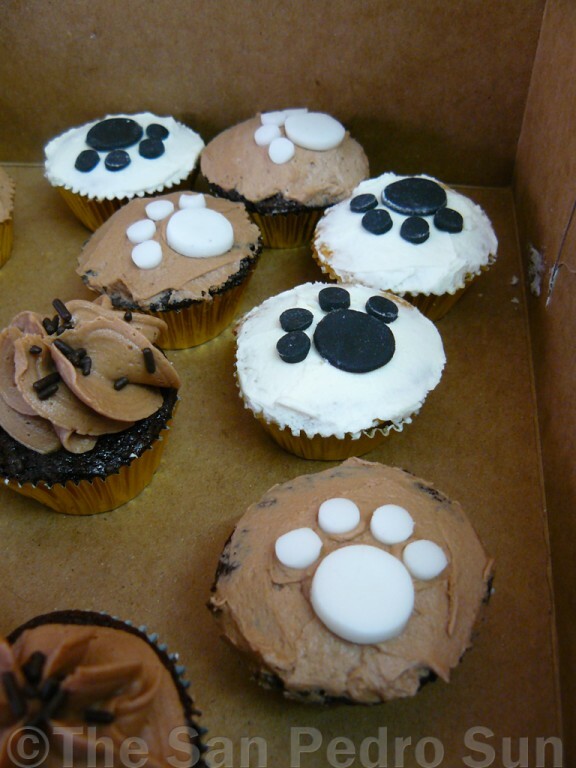 Treats from Heavenly Cupcakes were handed out by the sweet volunteers at Pampered Paws; delicious doughnuts and fun-sized cupcakes with paw prints were devoured by both young and old. Congratulations to Katia, Allan, Dave and Derio on a great celebration, and long live Pampered Paws! Happy 10th Anniversary!! Woof woof, Chirp chirp, Meow…!! !